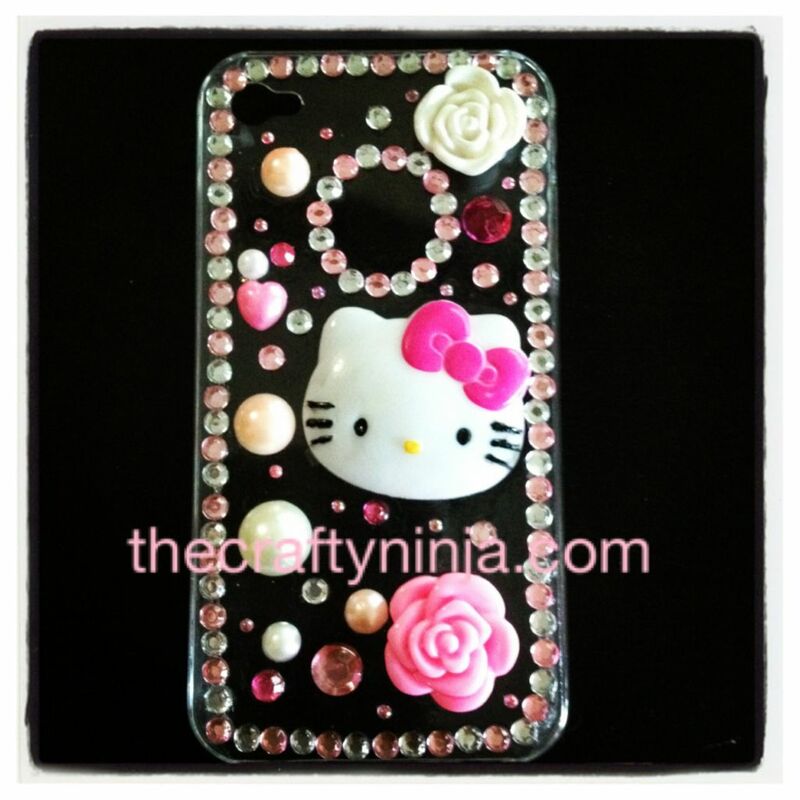 I made my Kawaii decoden iPhone case using Pink and White Rhinestones, Pearl Beads, Rose Beads, I purchased here. You will first need a clear iPhone cover, here. I used tweezers to make the pink and white rhinestone border and clear nail polish to glue all it all together, but once I started carrying my case the deco started to fall off so I went back and used E600 glue, which lasted.